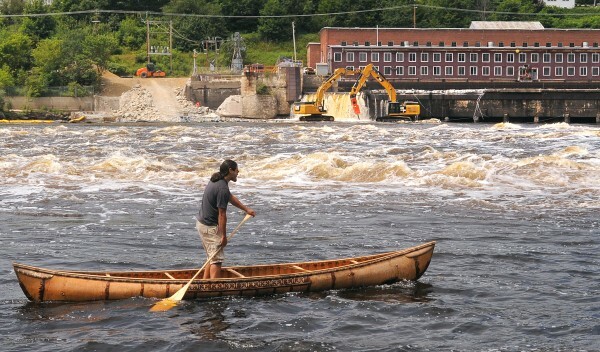 Joe "Hugga" Dana paddles a traditional birch bark canoe as crews work on the ceremonial breaching of the Veazie Dam on the Penobscot River in this July 2013 file photo. BANGOR, Maine — Since the removal of the Great Works Dam in 2012 and the Veazie Dam in 2013, the Penobscot River more closely resembles the body of water that it was almost 200 years ago, with free-flowing water and stretches of forceful rapids. To celebrate that change, and to honor the history of their community, the Penobscot Nation will host a 15-mile canoe race between Indian Island and Brewer on Sunday, Aug. 3. The race will be called the First Annual Bashabez Run, in honor of Chief Bashabez, who Samuel de Champlain witnessed leading a fleet of canoes carrying 30 people along the river in the 17th century, according to James Francis, the Penobscot Nation’s cultural director. He explained that the route chosen for the race is significant because there was once a Penobscot village in Brewer, and people would have traveled frequently on birch bark canoes between that community and Indian Island before the 1850s. Sunday’s race will be hosted in collaboration with the American Canoe Association’s New England Paddle America Club, which Francis said will help attract professional canoe racers looking for a new race. Registration will be at 8 a.m. above Joe Peas Rips on Cemetery Street on Indian Island. Less experienced paddlers can participate in a recreational paddle around Indian Island. The race course was described as “mostly fast moving smooth water with four rapids and numerous class 1 sections,” according to a press release. The race is expected to take at least two hours. It is described as a challenging course, and helmets are required. An award ceremony will be held after the race at the Penobscot Nation Annual Community Days Pageant, a cultural event that will feature traditional music and dance, which the public is invited to on Sunday. 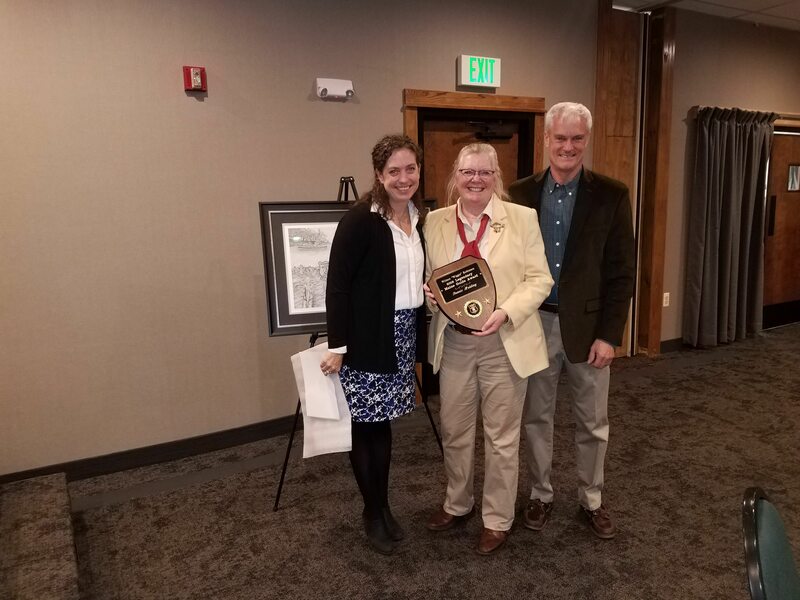 The removal of the dams on the Penobscot River was part of an effort by the Penobscot River Restoration Trust to open nearly 1,000 miles of river and stream habitat to fish and restore the river and the surrounding wetlands to their natural states. “We’ve seen a large push of the communities [of Bangor and Brewer] toward embracing the river,” he said. For more information, visit http://www.penobscotculture.com/.